« Is the breakup of the Euro fast approaching? On Greenland’s diversified future . . . 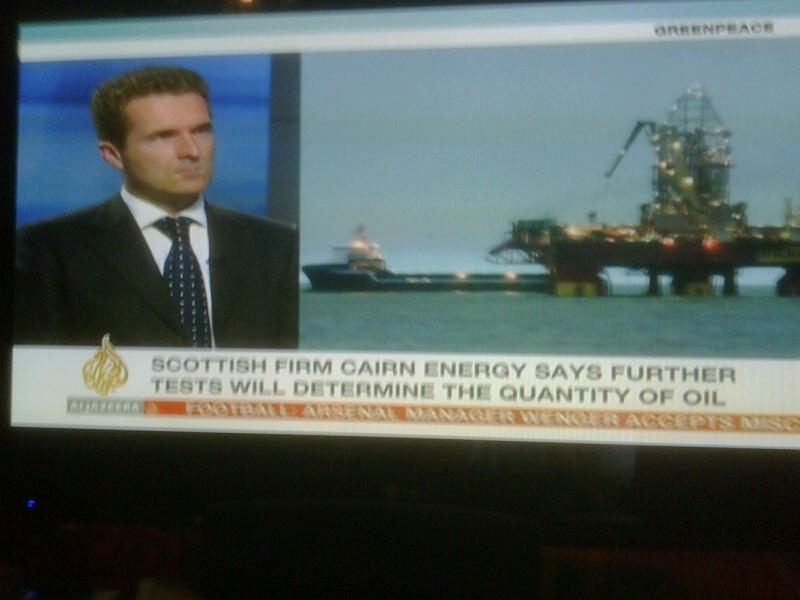 Earlier this week I was interviewed on Al-Jazeera English about the discovery of gas just off the coast of Greenland by Cairn Energy. As is always the case, whenever there’s a new hydrocarbon find, there is a great deal of excitement which all too often turns out to be unjustified. So I urged some caution mentioning that it can be up to 10 years before oil discovery and bringing it to market. And I daresay a great deal of the oil’s exploitation depends on high prices – which should not be seen as a given. That said, I couldn’t help but laugh when I found out how unpopular Greenpeace is in Greenland. The route cause of this is their opposition to seal-hunting which pretty much shut down one of their two export industries – seal furs. So I’m not surprised they’re not getting a good reception this time round. And let’s face it, Greenlanders aren’t the sort of people to care what outsiders think of them – they are the only territory to have joined and left the European Union. I can just see Brussels Eurocrats choking on the audacity of that one ! Right now, the biggest industry in Greenland is prawn processing – so it’s only natural they’d want some diversity away from that. This entry was posted on Sunday, September 26th, 2010 at 10:01 am	and is filed under Energy, EPC Diary, Uncategorized. You can follow any responses to this entry through the RSS 2.0 feed. You can leave a response, or trackback from your own site.